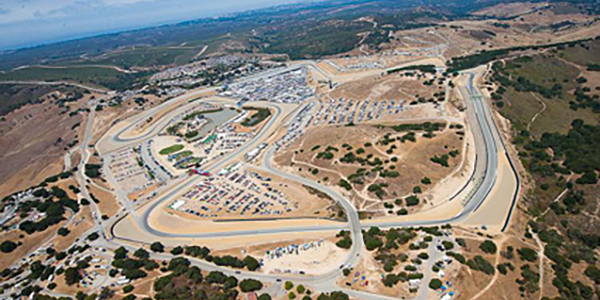 The County of Monterey and WeatherTech have signed a multi-year naming rights agreement at the famed 11-turn, 2.238-mile road course. The world-renowned Laguna Seca road course will officially be called the WeatherTech Raceway Laguna Seca beginning April 1. Photo courtesy of TM Hill. WeatherTech replaces Mazda, which held a 17-year sponsorship of Mazda Raceway Laguna Seca that ends March 31. WeatherTech, based in Bolingbrook, IL, is a manufacturer of vehicle accessories and is heavily involved in motorsports. The company sponsors the IMSA WeatherTech SportsCar Championship and its own team.